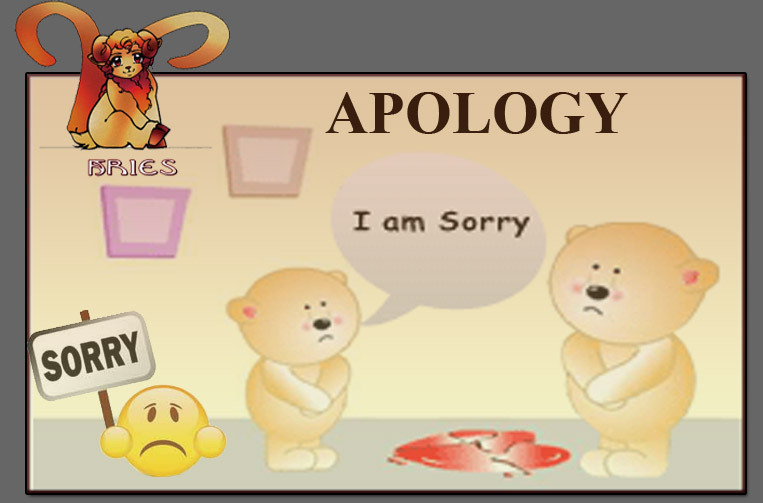 Apology is a written or spoken expression of one’s regret, remorse, or sorrow for having insulted, failed, injured, or teased another and each has their own way of asking sorry depending on their personal characteristics and is also influenced by their zodiac. Arians are those who consider that they never make a mistake or never hurt anybody for them to go and apologize. If it all they are put in a situation to ask sorry, it is just going to be a simple and a plain sorry and nothing more than that.